Another survival story to love, if you are a fan of survival stories, like I am. Another Lori Lansens novel to love, if you are a fan of Rush Home Road, like I am. The Mountain Story starts, and ends, with a letter from Wolf to his son. In the letter, Wolf tells his son the full story of what happened on the mountain when he was 18. He had gone up the mountain to die, but, instead got lost with 3 women. Fighting for his survival, and theirs, gave him a reason to live. The best thing about this book is that, from the very beginning, we know that there are 4 lost hikers and only 3 survivors. Even though this seems like a spoiler, it actually helps heighten the suspense. The whole time I was reading about them lost on the mountain, I was on the edge of my seat, anticipating the death of one of the hikers; imagining it coming around every corner; wondering if was going to be now. But, in the end, what happened was something that I didn’t see coming. There are a few twists in this story, some I saw coming, and some I did not. When you’re lost in the wilderness, minutes pass like hours and days like years, or in a split second your whole world could be spun on its axis. Sure you think about regrets, but it’s not regret for the things you’ve done that occupy you, as much as it is a longing for the things you’ll never have the chance to do. 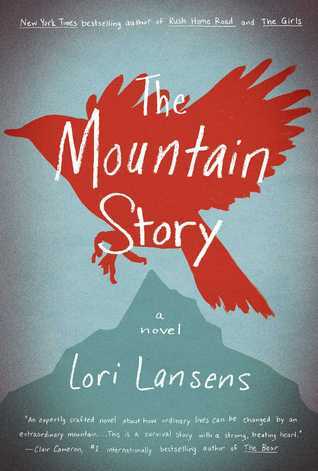 The Mountain Story is just, plain and simple, a good story. Is everything that happens believable? I don’t know; I’ve never been in that situation, but nothing struck me as unbelievable. It is not just a story about getting lost on the mountain. It is also the story of how Wolf came to be there in the first place; Wolf’s past, his relationship with his father, and the loss of his friend Byrd. As Ann-Marie MacDonald says on the cover of the book, it is “equal parts poignant drama and palm-sweaty suspense“. A few might say that the end is corny, but I liked it that way. After everything they went through on the mountain, I say, ‘Let there be corn!’. And, like a true cornball, I cried. Visit Lori Lansens’s site to check out all of her books (I highly recommend Rush Home Road), bio, and blog. This blog post talks about her own experience with mountain climbing. *Thanks to the publisher for providing me with a copy of this book in exchange for an honest review. Sounds like a good book club book. Yes, I think it would be. I was looking for your review of the other Lansens book but didn’t find it. I guess you read it before you started your blog. This one doesn’t sound much like me, but I’ll check into the other one. Yes, I read it not long before I started my blog. There are some books I would like to re-read just so that I could include them on my blog. It feels incomplete without them. Maybe that will be my next challenge! This book was more fun, because of the suspense, but I think Rush Home Road is a better book, and I would be more likely to recommend it. I also think you’re right about it being a better book for you. I occasionally do a reread. I don’t see why you can’t. I even re-review books I’ve already reviewed, if I would like to try to get more interest for them. Oh, I see you have a short blurb on it as a favorite book of 2013. Ooh, I like the sounds of this book. I’m totally okay with corn. Is this a newly published book? It sounds like it could make a good movie. 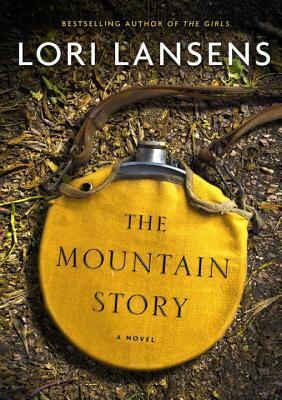 I don’t think I’ve ever read anything by Lori Lansen, but I have this one loaded onto my KOBO already. Something about the premise really got me. I’m glad you liked it and I’m all for a little corn. I’m a sucker for anything to do with survival. I don’t know why. Maybe I am preparing for the worst. By the time anything happens to me, I will have covered all disaster possibilities. Or maybe I am just fascinated by how people react in a crisis. It’s the survival thing that got me too. And the corn. That sounds like a book my husband would love! (I assume it’s non-fiction.) You’ve given me a great idea for his next book! A must read. Now I am intriqued. Rush Home Road is still on my shelf but I’ve been seriously tempted a couple of times this year. I tend to find that I don’t feel terribly attached to her characters/narrators (I’ve read The WIfe’s Tale and The Girls) but somewhere around the 2/3 or 3/4 mark, an investment creeps up on me and I realize that my emotions have been pulled in far more than I recognized. I’ll have to nudge RRH towards the top of the stacks: thanks. I loved Rush Home Road. I think it’s her best book (although, I have to admit I haven’t read The Wife’s Tale). I tried reading The Girls after reading RHR, but I didn’t even finish it – that’s how much better I think RHR is. I’d love to hear what you think about it, especially since you have read her other two already! I loved this story, and like you, I didn’t mind the ending at all! Sure, it was a little corny, but I didn’t have a problem with that. I was shocked when we found out who the casualty was. I can’t think of a better resolution (as weird as that sounds). I agree. I really didn’t see it coming! But, it seemed just right for the story. I have never gone up a mountain on a tram before – I wonder what I would think of it. Heights don’t bother me, but being squished in with other people might. I would love being at the top, though! I like reading survival stories – I’m definitely going to keep an eye out for this one in the bookstore! If you get to it, let us know what you think!